Have premature hair loss that is troubling you? Are you 18 to 60 years old? 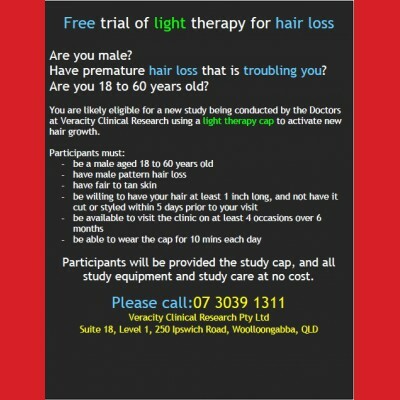 You are likely eligible for a new study being conducted by the Doctors at Veracity Clinical Research using a light therapy cap to activate new hair growth!